Abu Dhabi, November 14, 2016: Abu Dhabi Islamic Bank (ADIB) and Thomson Reuters announced today the winners of the 4th edition of the Ethical Finance Innovation and Challenge Awards (EFICA). Tirad Al Mahmoud, Chief Executive Officer of Abu Dhabi Islamic Bank (ADIB) presented The EFICA Lifetime Achievement Award to the former governor of Malaysia’s Central Bank, Dr Zeti Akhtar Aziz for her pivotal role in developing the Islamic banking industry and her distinguished contribution in driving ethical practices in the global financial industry. LaunchGood, the world’s leading crowdfunding site for Islamic Finance received the $100,000 Ethical Finance Initiative Award to for their work in raising over $11 million for over 1,000 campaigns across 63 countries. 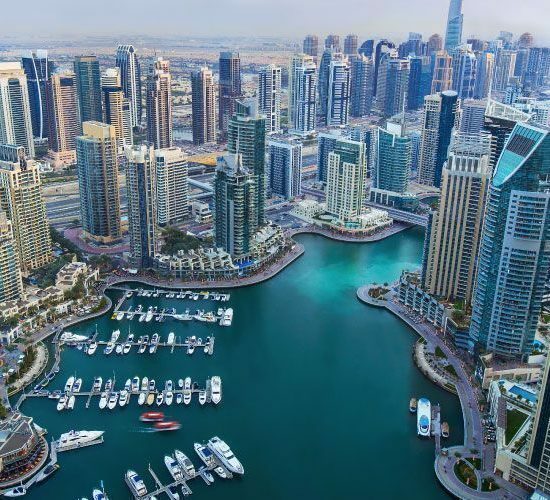 Dr Zeti Akhtar Aziz and representatives of LaunchGood received their awards at a high profile event in Dubai that was attended by more than 400 industry leaders and experts. Baroness Sayeeda Warsi, the first Muslim to serve as a minister in the UK cabinet was the keynote speaker at the event. Three finalists for the Ethical Finance Initiative Award presented their entries at the award ceremony, with the winner chosen by audience vote. The Ethical Finance Innovation and Challenge Award (EFICA), an initiative by Abu Dhabi Islamic Bank (ADIB) and Thomson Reuters, was launched in 2013 to inspire real change in the financial services industry by recognising and rewarding innovation that can be put into practice. This year over a hundred individuals and institutions from all over the world put forward their projects for the $100,000 Ethical Finance Initiative prize. “The EFICA awards have become an important standard bearer for ethical and Islamic finance globally, and are attracting extremely high quality entries,” said Tirad Al Mahmoud, CEO of ADIB. Dr Zeti Akhtar Aziz was governor of Bank Negara Malaysia for 16 years before her retirement in April. She has been widely praised for her steering of monetary and financial policy and reserve management in the years following the 1997-98 Asian financial crisis. She was actively involved in its development of Islamic finance, chairing the Steering Committee for the establishment of the Islamic Financial Services Board (IFSB) in Malaysia and playing a leading role to develop Malaysia as a centre for the origination, distribution and trading of sukuks. She also chaired the international taskforce that prepared the report on ‘Islamic Finance and Global Financial Stability’. “The EFICA awards given by ADIB and Thomson Reuters have gone from strength to strength, and we are greatly encouraged by the quality of the applications. It really shows that many people are working hard to make finance a force for good in society,” said Nadim Najjar, Managing Director, Middle East and North Africa, at Thomson Reuters. ADIB is a leading bank in the UAE with more than AED 120 billion in assets. Its 900,000 customers benefit from the third largest distribution network in the UAE with 88 branches and more than 770 ATMs. The bank also offers world-class online, mobile and phone banking services, providing clients with seamless digital access to their accounts 24 hours a day. ADIB provides retail, corporate, business, private banking and wealth management solutions. The bank was established in 1997 and its shares are traded on the Abu Dhabi Securities Exchange (ADX). 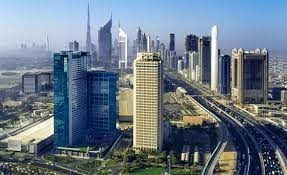 In the UAE, the Bank has more than 2,300 employees and remains one of the leading banks in the recruitment, development and promotion of local talent in all the markets in which it operates. The bank has one of the highest Emiratisation ratios with more than 43 percent of the bank’s workforce being UAE Nationals.